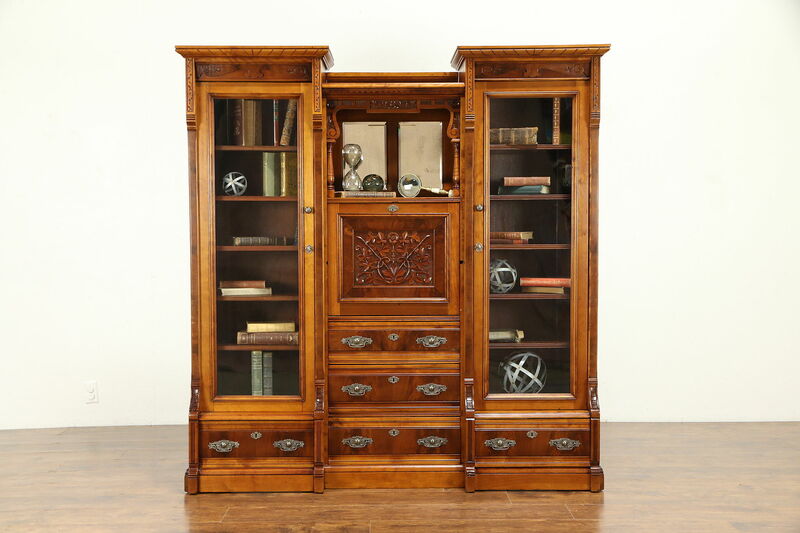 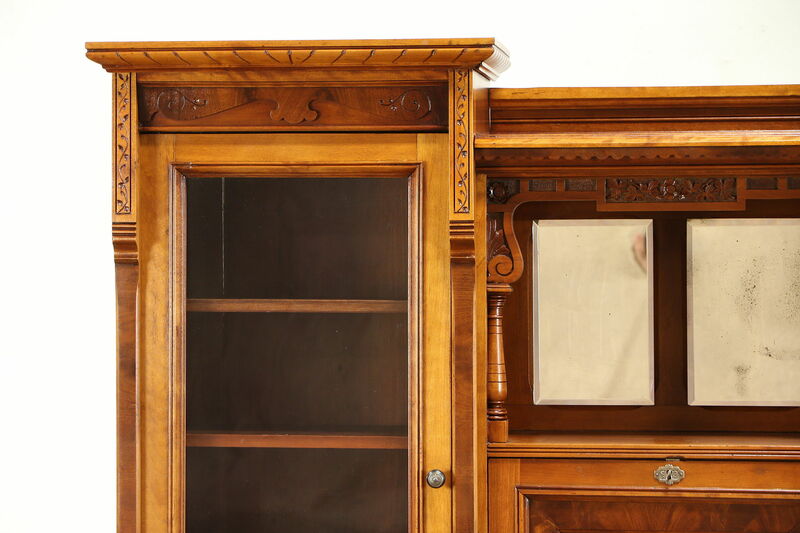 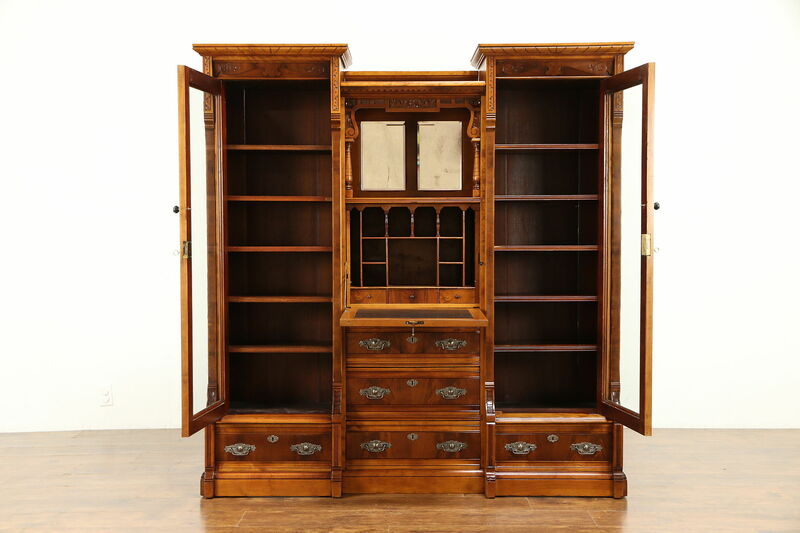 A splendid late Victorian or Eastlake triple bookcase with secretary secretary desk is solid cherry with matched flame mahogany panels. 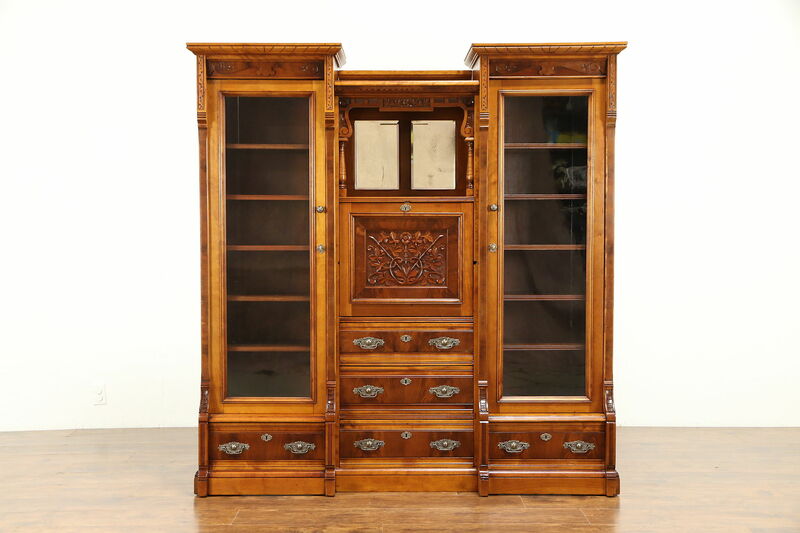 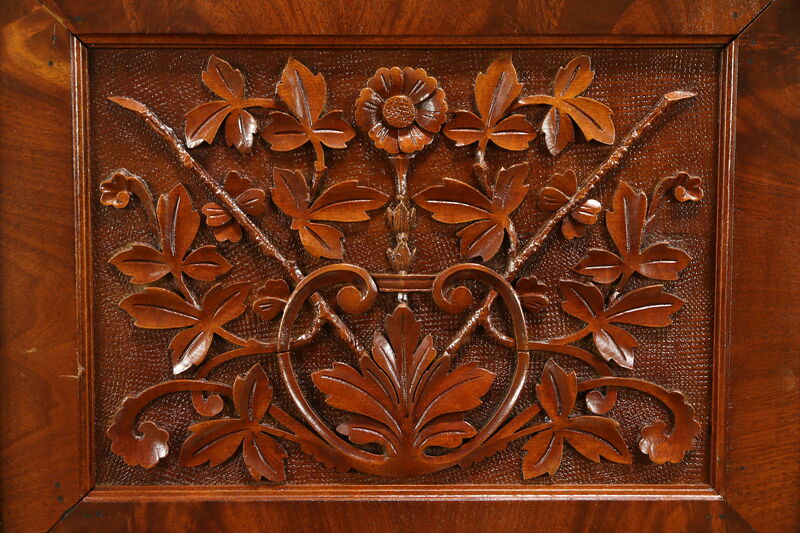 Hand carved about 1875, wavy glass doors and beveled mirrors are original. 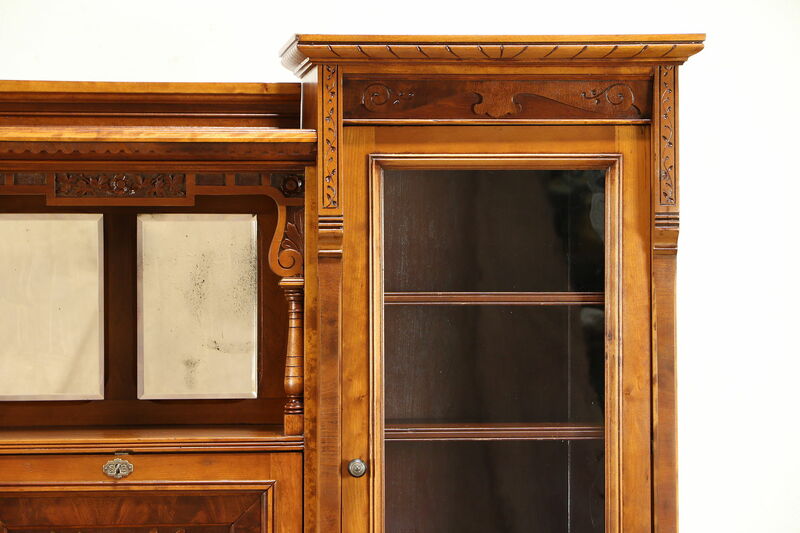 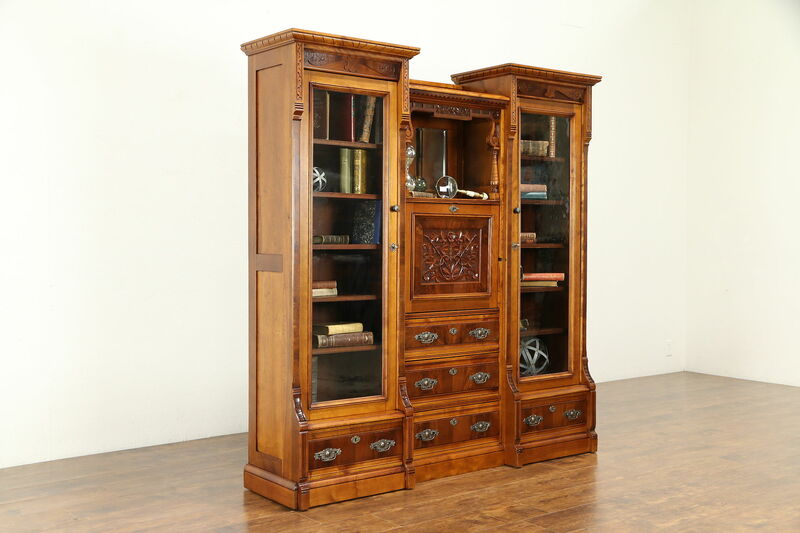 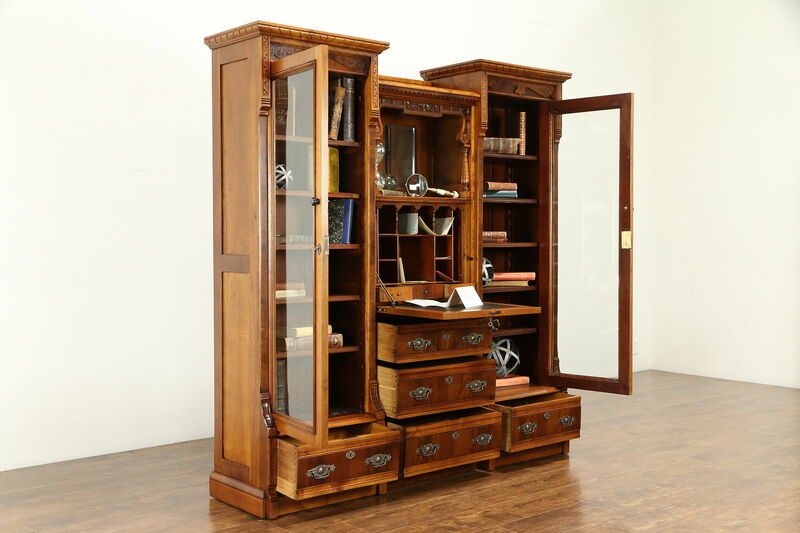 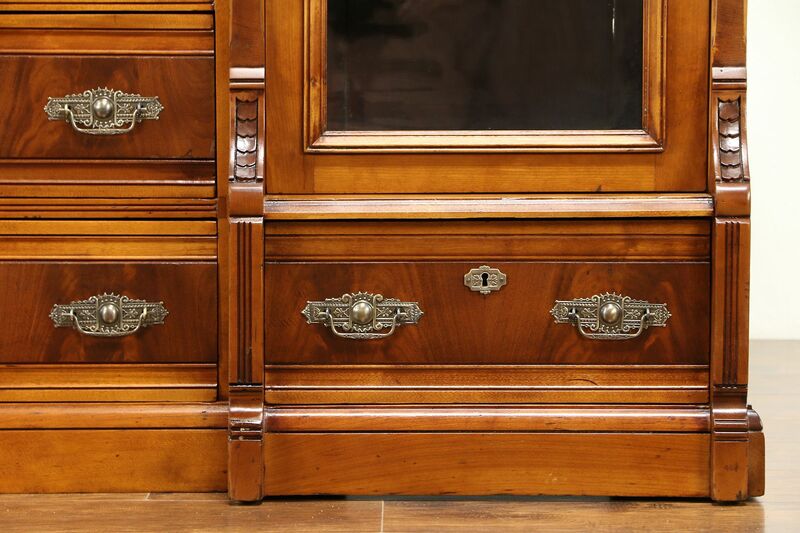 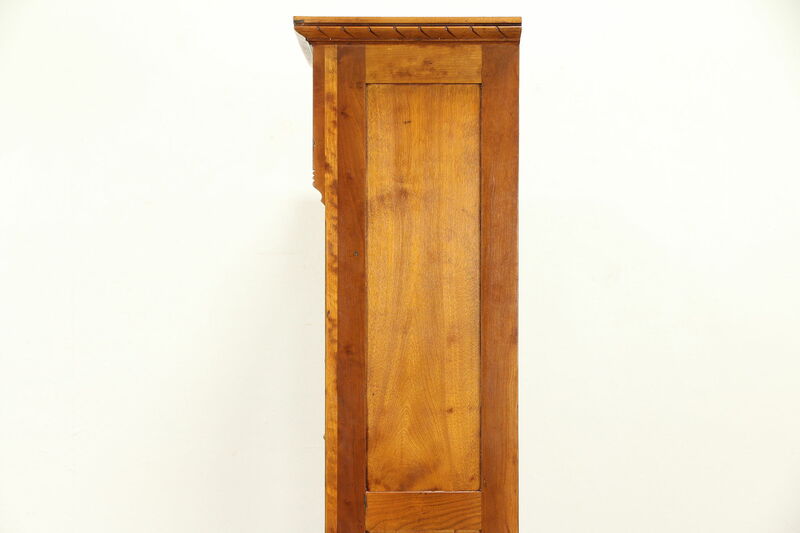 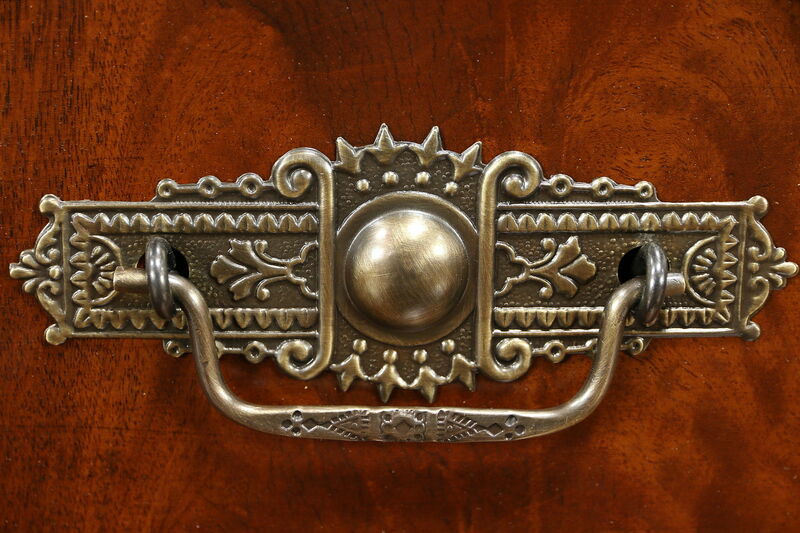 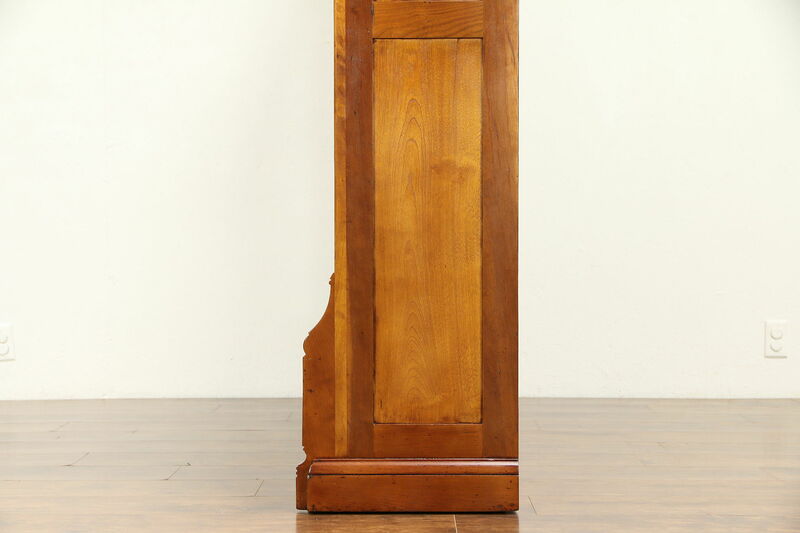 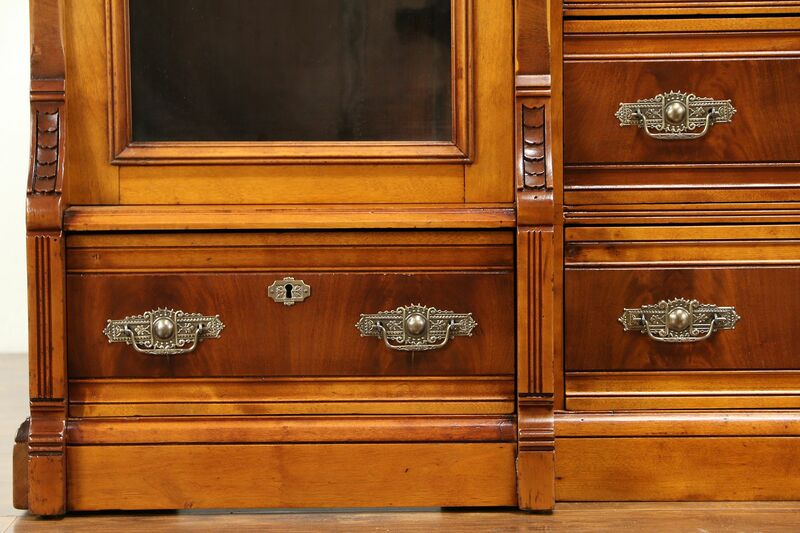 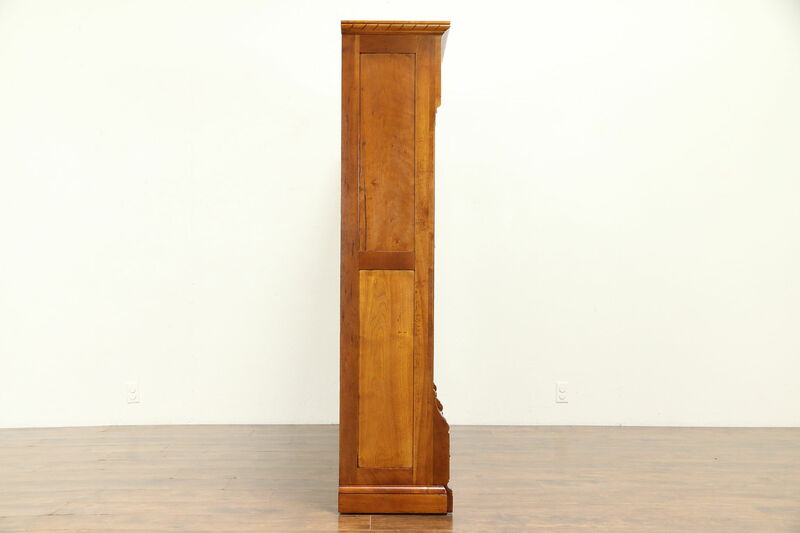 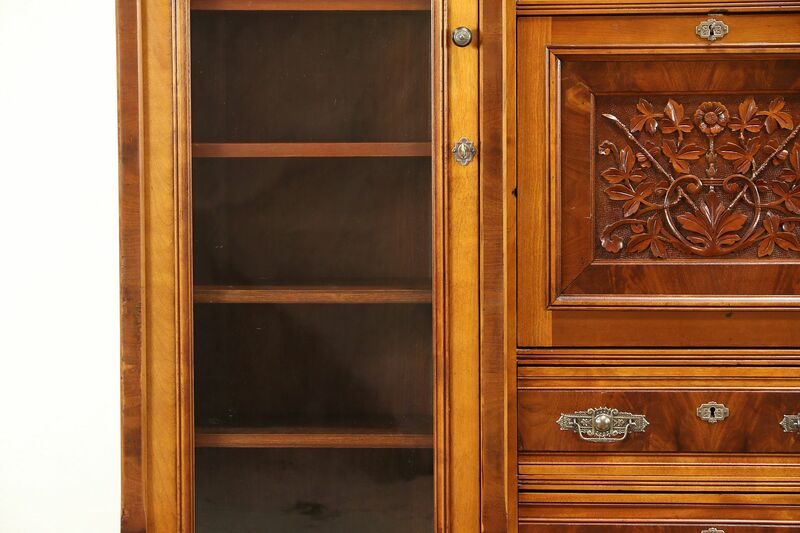 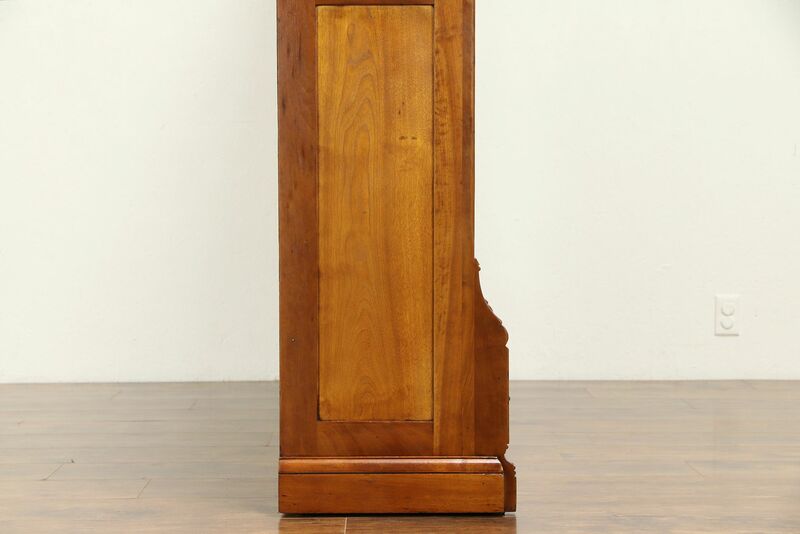 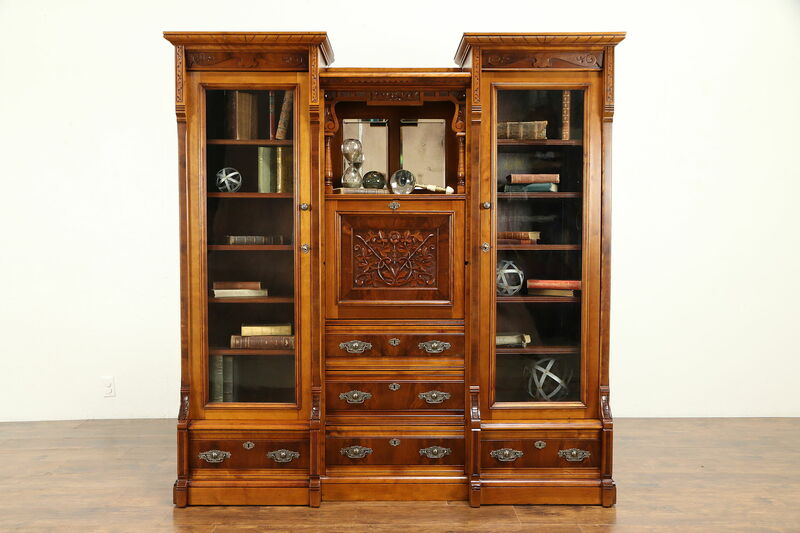 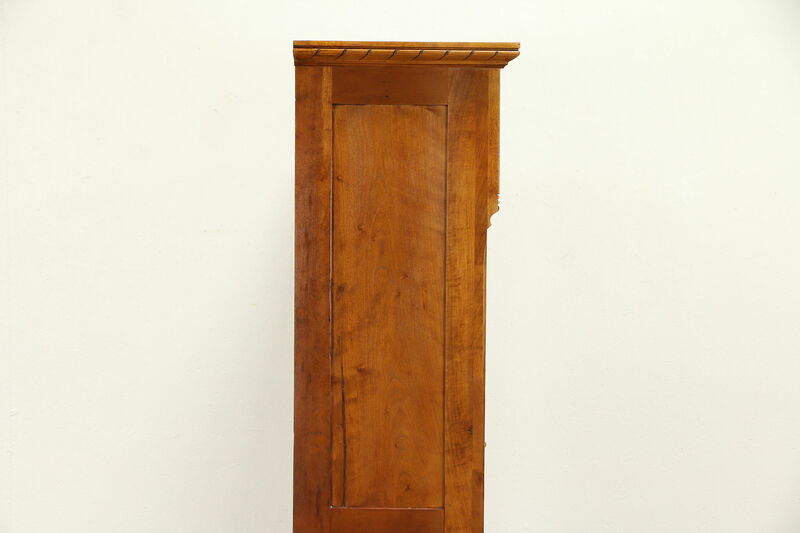 The restored rich finish is in excellent condition on this American made antique furniture. 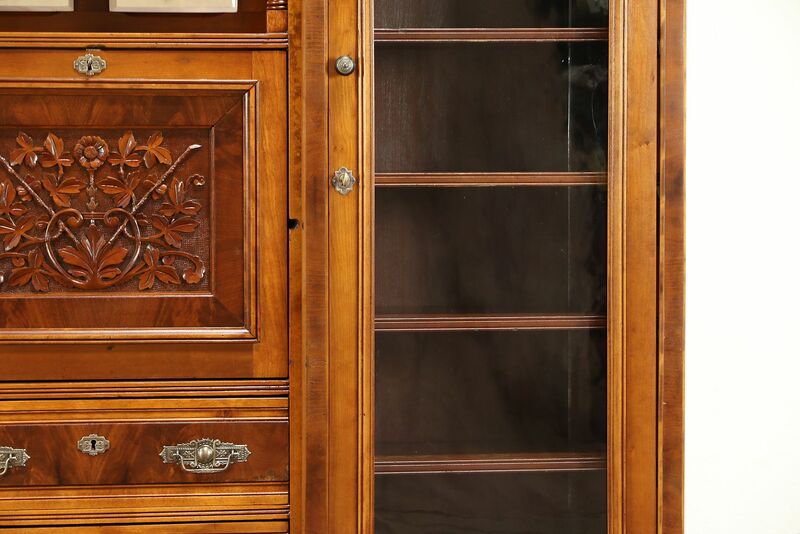 Doors and the drop front have working locks and keys. 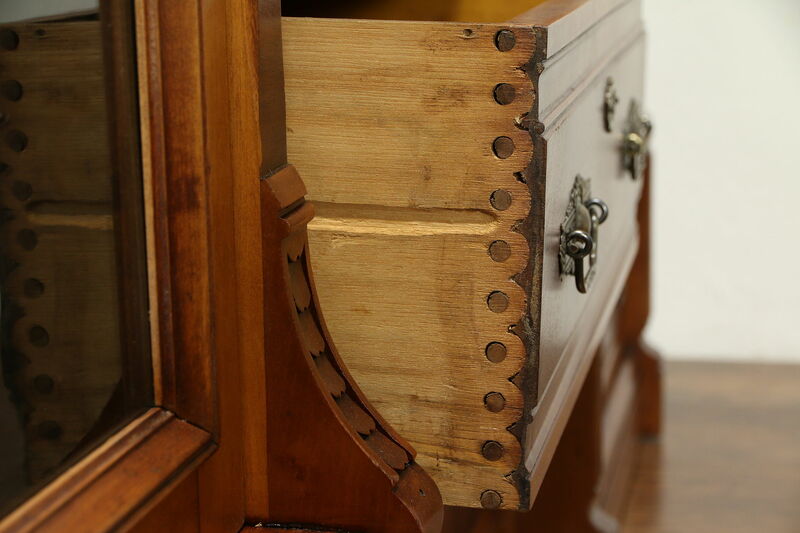 Drawers have round "pin and cove" dovetail joints of the era. 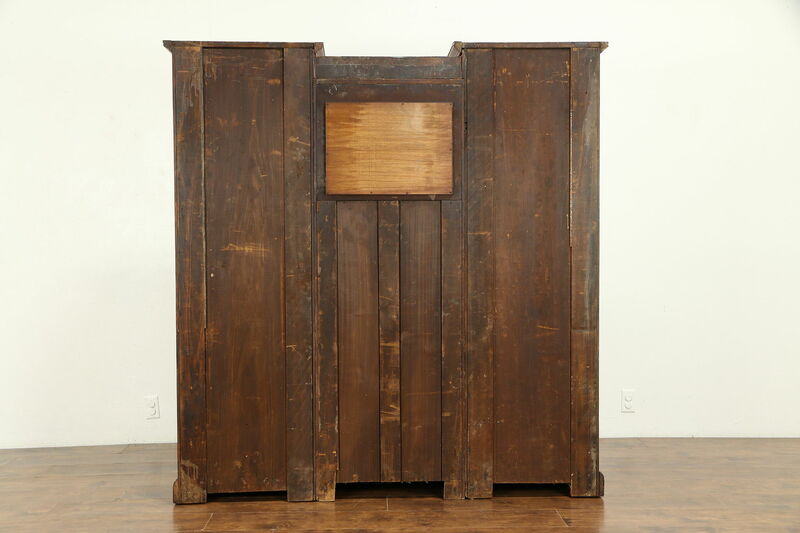 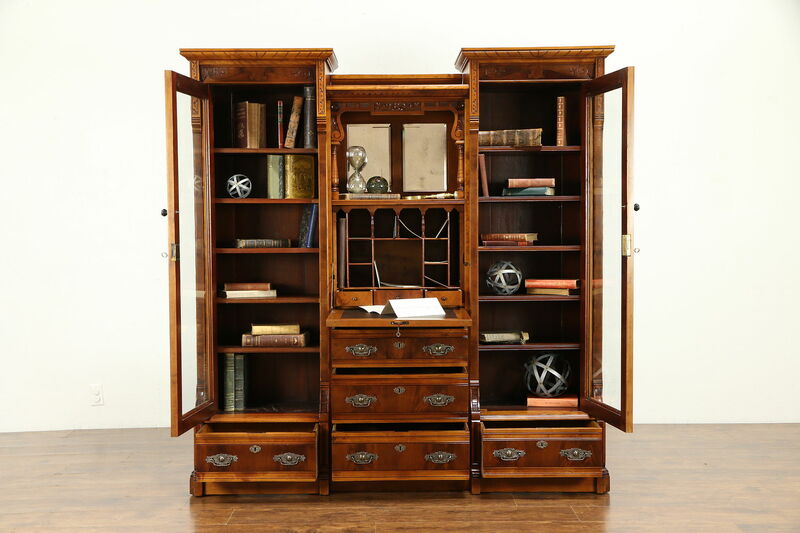 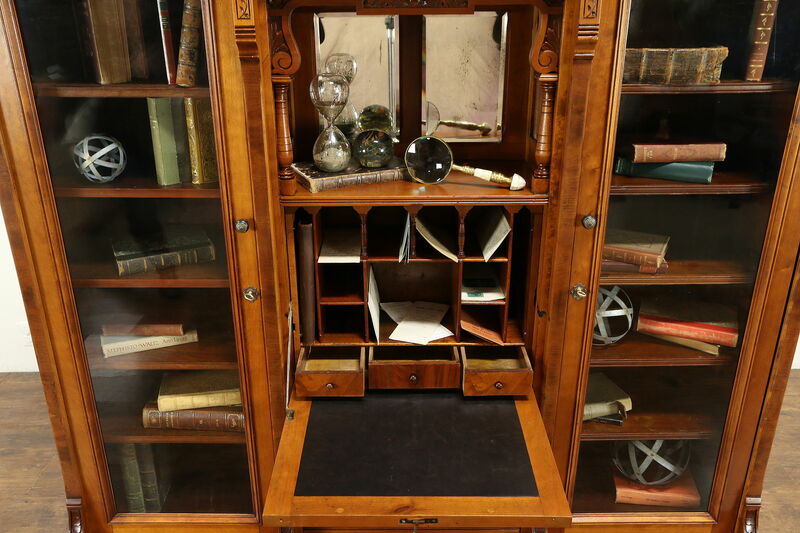 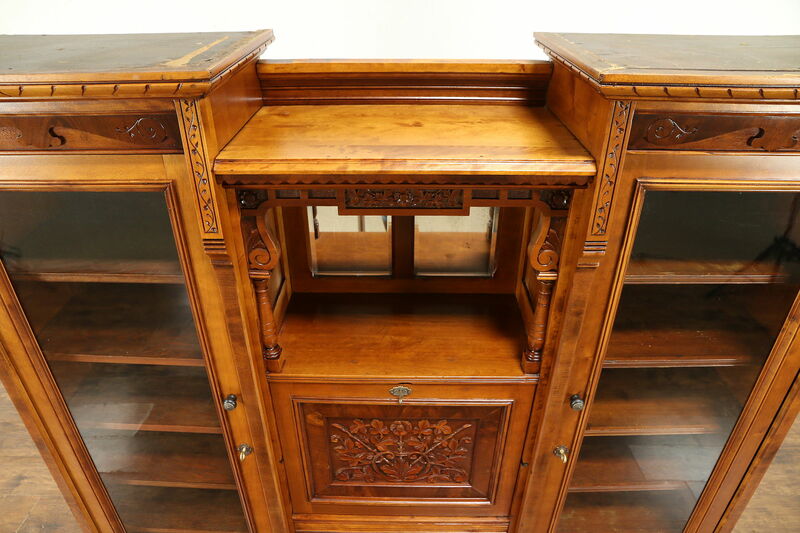 The richly hand carved drop front has a leather writing surface, inside are cubicles and tiny drawers for documents. 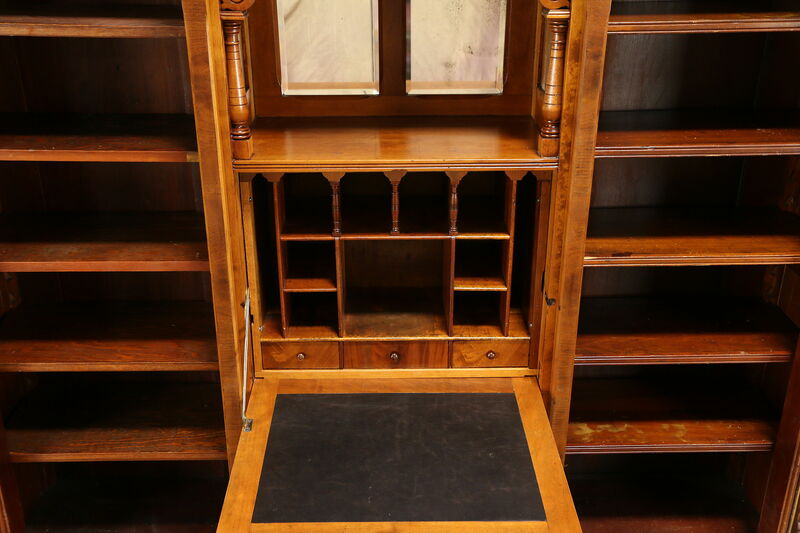 Two banks of book shelves are adjustable. 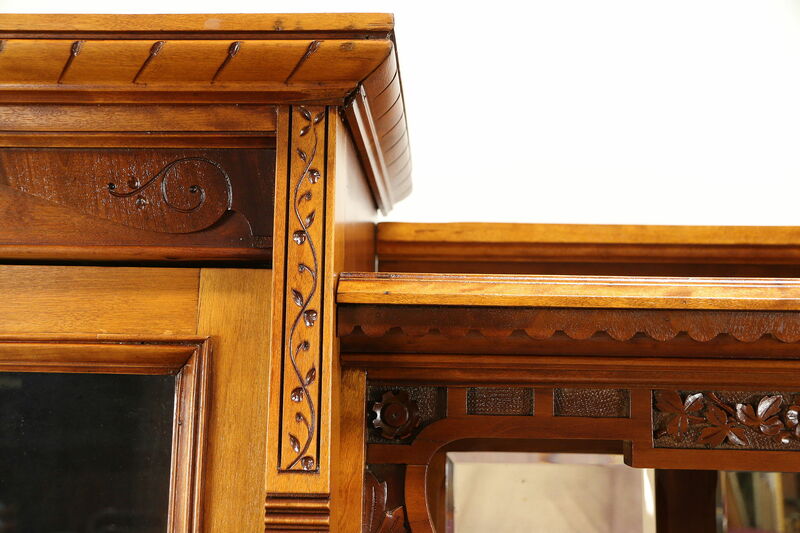 For easier delivery, this is three separate pieces that screw together. 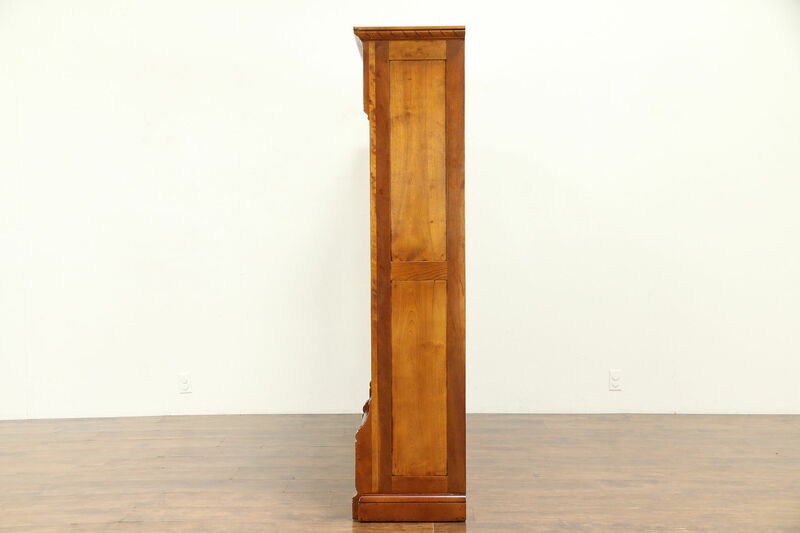 Measurements are 67" wide, 17" deep and 70 1/2" tall.